A former Mountie and a criminologist are calling for a judicial inquiry into the deaths of four RCMP officers who were killed in Mayerthorpe in 2005. 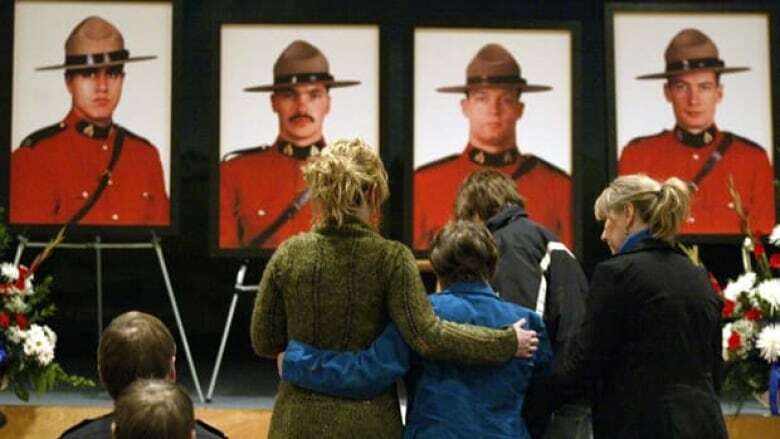 A former Mountie and a criminologist are calling for a judicial inquiry into the deaths of four RCMP officers who were killed in Mayerthorpe, Alta., in 2005. Rob Creasser, a spokesperson for the Mounted Police Professional Association of Canada, held a news conference in Ottawa on Monday to ask the Canadian government to review the entire Mayerthorpe case. His call for a judicial inquiry was joined by Darryl Davies, a professor of criminology at Carleton University who was hired by the RCMP after the Mayerthorpe shootings to determine whether the officers were properly armed. 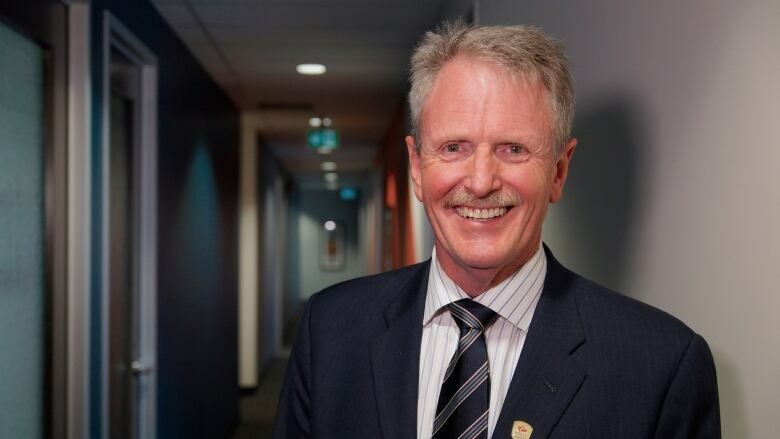 Creasser said the investigation into the deaths of constables Brock Myrol, Leo Johnston, Peter Schiemann and Anthony Gordon needs to be re-examined. "In recent weeks, Canadians have learned about the dysfunctional management culture within the RCMP," Creasser said in a statement Monday. "So it is now time for a judicial inquiry to find answers to safety questions raised by the Mayerthorpe shootings that remain un-addressed to this day." On Mar. 3, 2005, Mayerthorpe RCMP went to a rural property owned by James Roszko, a man who was known to police. There they discovered a marijuana growing operation and a chop shop. The four RCMP officers stayed on the property overnight. At some point, Roszko snuck onto the property and shot all four officers. Roszko later killed himself. Creasser said RCMP at that time should have been more careful in approaching Roszko, who Creasser called "a known police-hater." "We believe — and I was a serving member at the time — that members knew how dangerous Mr. Roszko was," he said. "There should have been more precautions placed at the scene to prevent him from even sneaking back onto the property." Creasser said he wants the federal government to call a judicial inquiry because many questions remain about investigations conducted by Human Resources and Skills Development Canada and the RCMP. "We feel that the whole piece about officer safety and looking after members' safety was being downplayed," he said. "We want to see that changed." Creasser said he hasn't spoken to the families of the four Mounties, but said his primary concern is to mitigate some of the danger RCMP officers face. "I just need to find a way to stop unnecessary deaths," he said. "The RCMP members do dangerous work but it doesn't need to be more dangerous because they're not properly equipped and trained and resourced. "That's what my focus is."